You apply tags to your Azure resources giving metadata to logically organize them into a taxonomy. Each tag consists of a name and a value pair. For example, you can apply the name "Environment" and the value "Production" to all the resources in production. After you apply tags, you can retrieve all the resources in your subscription with that tag name and value. Tags enable you to retrieve related resources from different resource groups. This approach is helpful when you need to organize resources for billing or management. Your taxonomy should consider a self-service metadata tagging strategy in addition to an auto-tagging strategy to reduce the burden on users and increase accuracy. Not all resource types support tags. 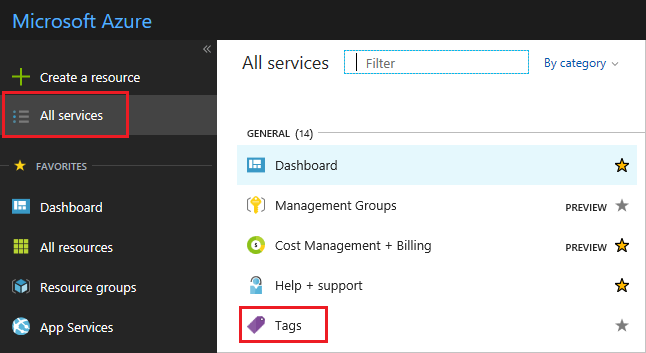 To determine if you can apply a tag to a resource type, see Tag support for Azure resources. Each resource or resource group can have a maximum of 15 tag name/value pairs. This limitation applies only to tags directly applied to the resource group or resource. A resource group can contain many resources that each have 15 tag name/value pairs. If you have more than 15 values that you need to associate with a resource, use a JSON string for the tag value. The JSON string can contain many values that are applied to a single tag name. This article shows an example of assigning a JSON string to the tag. Virtual Machines are limited to a total of 2048 characters for all tag names and values. Tags can't be applied to classic resources such as Cloud Services. To apply tags to resources, the user must have write access to that resource type. To apply tags to all resource types, use the Contributor role. To apply tags to only one resource type, use the contributor role for that resource. For example, to apply tags to virtual machines, use the Virtual Machine Contributor. 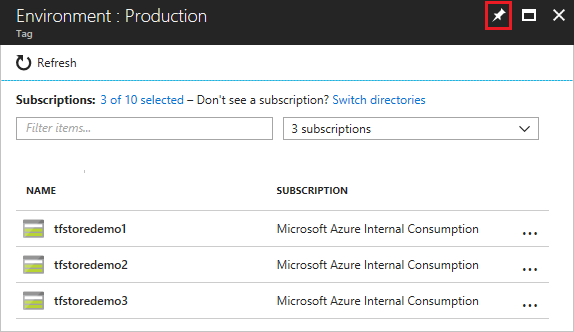 You can use Azure Policy to enforce tagging rules and conventions. By creating a policy, you avoid the scenario of resources being deployed to your subscription that don't comply with the expected tags for your organization. Instead of manually applying tags or searching for resources that aren't compliant, you can create a policy that automatically applies the needed tags during deployment. The following section shows example policies for tags. Apply tag and its default value Appends a specified tag name and value, if that tag is not provided. You specify the tag name and value to apply. Billing Tags Policy Initiative Requires specified tag values for cost center and product name. Uses built-in policies to apply and enforce required tags. You specify the required values for the tags. Enforce tag and its value Requires a specified tag name and value. You specify the tag name and value to enforce. 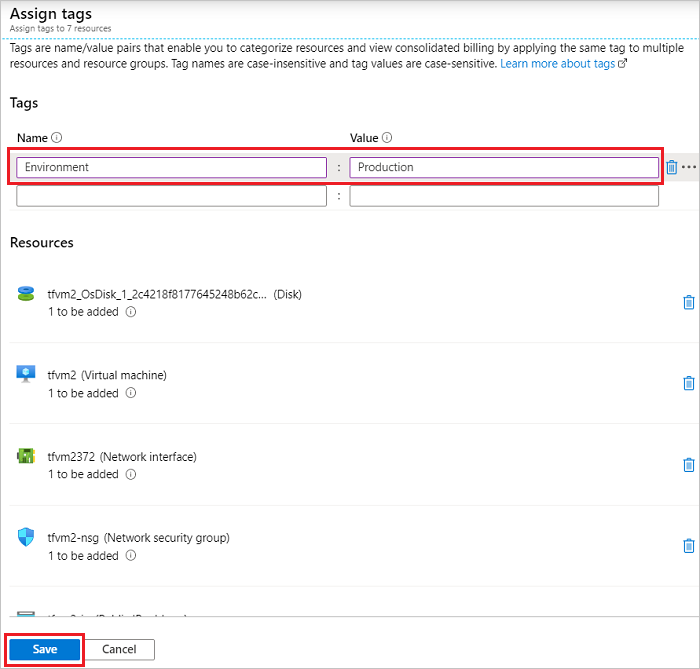 Enforce tag and its value on resource groups Requires a tag and value on a resource group. You specify the required tag name and value. Every time you apply tags to a resource or a resource group, you overwrite the existing tags on that resource or resource group. Therefore, you must use a different approach based on whether the resource or resource group has existing tags. To tag a resource during deployment, add the tags element to the resource you're deploying. Provide the tag name and value. To set a tag to a datetime value, use the utcNow function. You can define an object parameter that stores several tags, and apply that object to the tag element. Each property in the object becomes a separate tag for the resource. The following example has a parameter named tagValues that is applied to the tag element. To view the tags for a resource or a resource group, looks for existing tags in the overview. If you have not previously applied tags, the list is empty. To add a tag, select Click here to add tags. Provide a name and value. Select + to add the tag. Continue adding tags as needed. When done, select Save. The tags are now displayed in the overview. To add or delete a tag, select change. To delete a tag, select the trash icon. Then, select Save. From any list of resources, select the checkbox for the resources you want to assign the tag. After each name and value, select +. When done, select Assign. Select All services and Tags. Select the tag for viewing resources. All resources with that tag are displayed. For quick access, pin the view to the dashboard. The view is available from the dashboard. 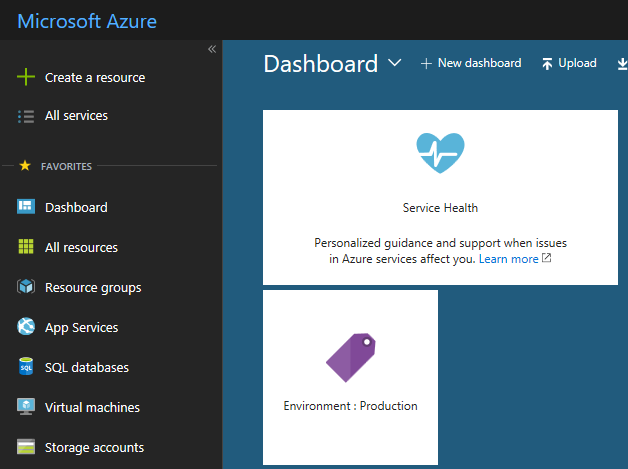 The Azure portal and PowerShell both use the Resource Manager REST API behind the scenes. 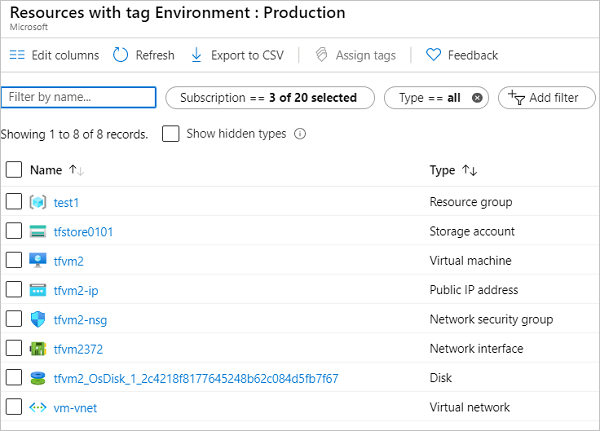 If you need to integrate tagging into another environment, you can get tags by using GET on the resource ID and update the set of tags by using a PATCH call. You can use tags to group your billing data. 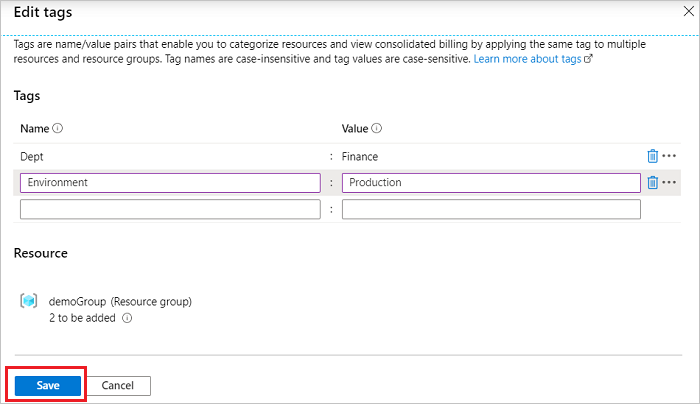 For example, if you're running multiple VMs for different organizations, use the tags to group usage by cost center. 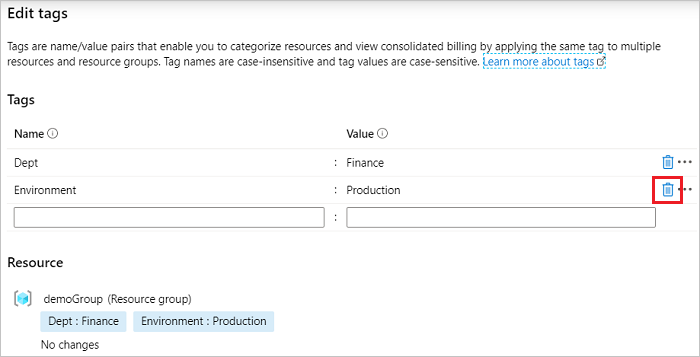 You can also use tags to categorize costs by runtime environment, such as the billing usage for VMs running in the production environment. 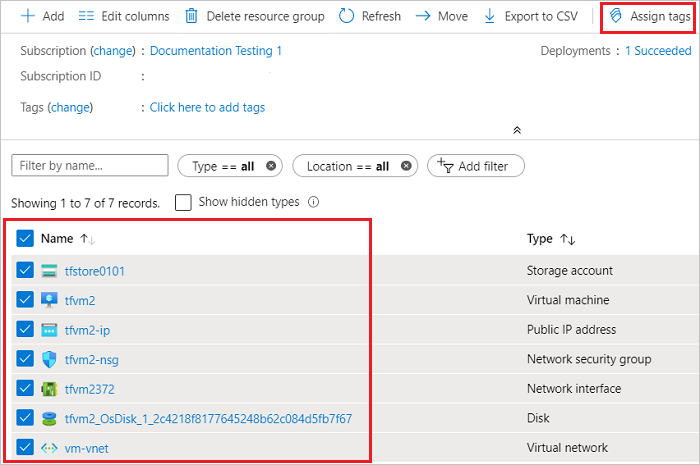 You can retrieve information about tags through the Azure Resource Usage and RateCard APIs or the usage comma-separated values (CSV) file. You download the usage file from the Azure Account Center or Azure portal. For more information, see Download or view your Azure billing invoice and daily usage data. When downloading the usage file from the Azure Account Center, select Version 2. 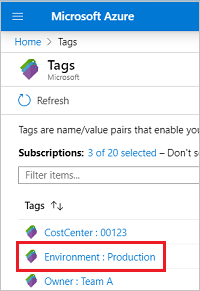 For services that support tags with billing, the tags appear in the Tags column. For REST API operations, see Azure Billing REST API Reference. 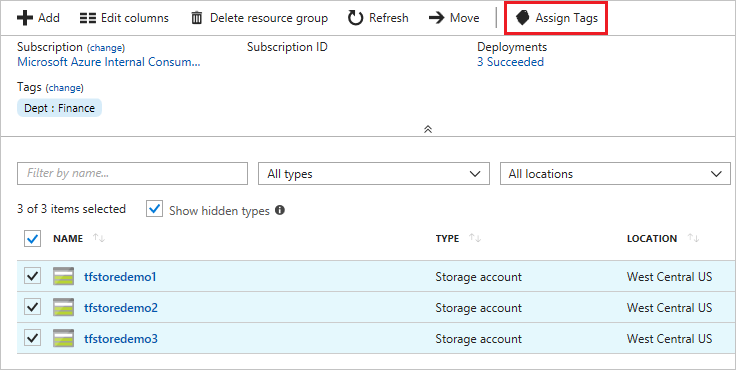 For an introduction to using the portal, see Using the Azure portal to manage your Azure resources.